My dream house is old and neglected, its cracked windows whistle and its broken shutters bang in the wind. Its stairs coil like a serpent around the heart of the house creaking with every step, and the paintings on the walls seem to watch those who pass. 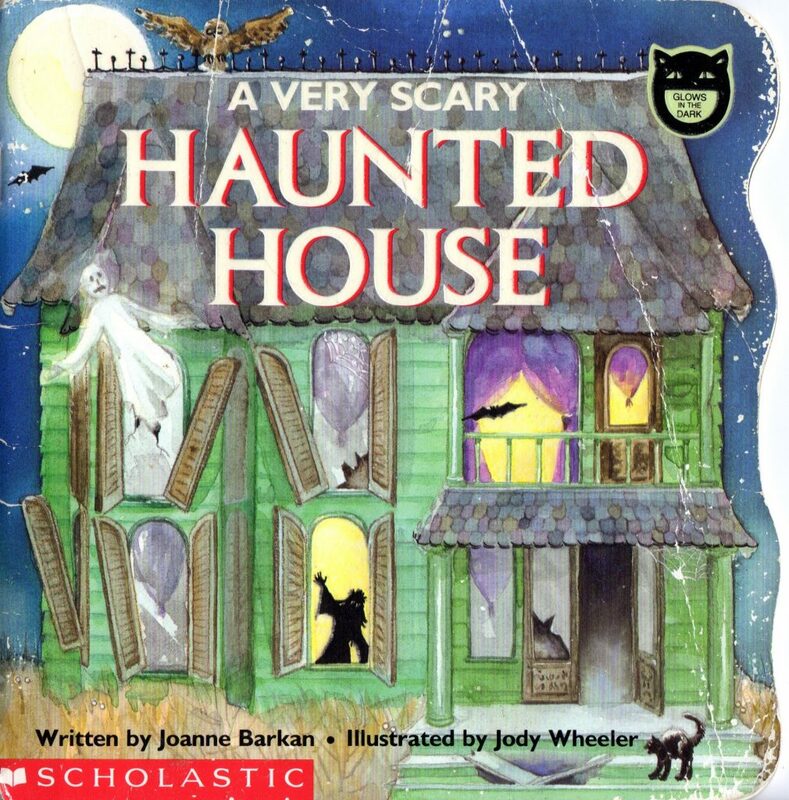 My dream house is a haunted house, much like the one found in A VERY SCARY HAUNTED HOUSE written by Joanna Barkin, illustrated by Jody Wheeler and published by CARTWHEEL BOOKS in 1991. I planned on returning to chapter books this time around, but then this little picture book caught my eye. I’ve read it multiple times, which shouldn’t be surprising considering its brevity. There’s an impressive attention to detail in this little book, especially in the illustrations, as well as an inventive use of the glow in the dark gimmick that keeps me returning. In A VERY SCARY HAUNTED HOUSE, a not-so-scary little vampire by the name of Elinor Ghoul visits her Aunt Agatha at her foreboding abode. 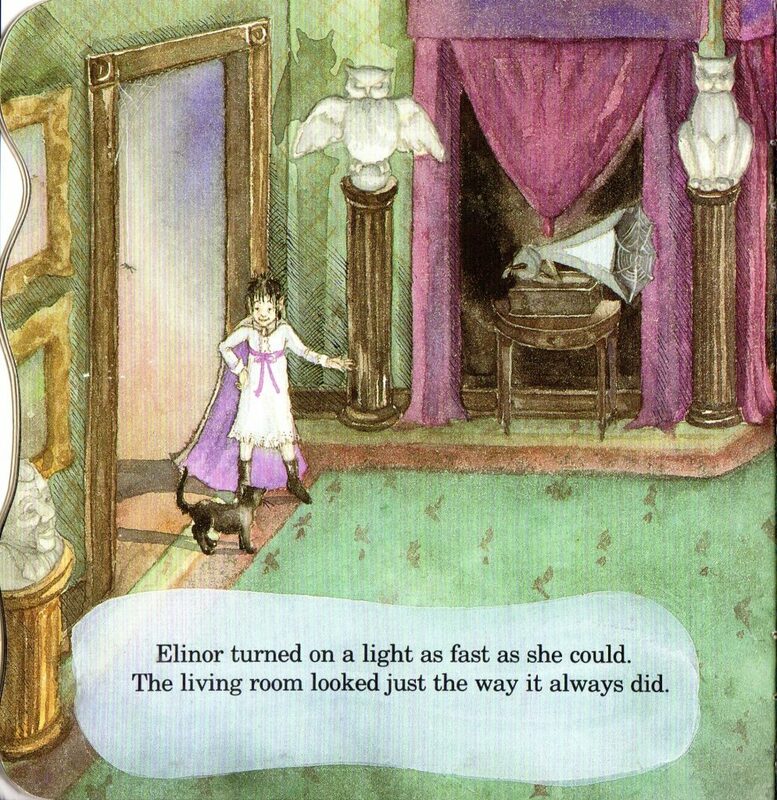 At first, she is frightened by strange noises and the darkness that seems to take up space within the house but Elinor, who is very brave, pushes on and finds the source of the strange noises. I got my (slightly battered) edition of A VERY SCARY HAUNTED HOUSE at a book sale for $2. You can get my edition (in better condition) on AMAZON for $6.17, plus free shipping, used, in “Acceptable” condition. Buying a real haunted house can be expensive and downright frightening. This little picture book is neither expensive nor frightening (at least not very). Turn off the lights and add this glowing little haunted house to your little haunted library.